Why Choose Wicks Emmett LLP? As the premier CPA firm in Southern Oregon, Wicks Emmett LLP provides the highest-quality professional services delivered with integrity and innovation. How do we do that? By utilizing the best people and technology to achieve timely, efficient and effective results for our clients while encouraging work-life balance and a deep commitment to improving our communities. 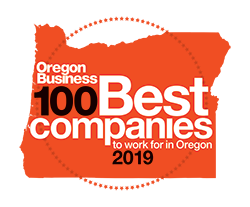 Hiring the brightest and best people available, we deliver professional talent and expertise you’d expect from a CPA firm in Portland or Seattle. The partners and staff bring unique, high-level skills to the organization, resulting in the most diversified complement of specialized tax, accounting and consulting services in Southern Oregon. Learn why we have the best people on Our Team page. The Wicks Emmett team regularly attend specialized seminars and continuing education courses to build on our already strong knowledge base. You can be sure that you’re getting the most up-to-date information and solutions to complex accounting issues in an ever-changing world. Our Services & Industries page has more information. Keeping pace with today’s most advanced technology allows us to provide efficient, effective and timely services to our clients. The Client Portal facilitates direct, secure communication between staff and clients, while the website provides useful resources and relevant tax and financial information. Virtual meetings and digital correspondence allow the firm’s professionals to work directly with clients regardless of their location.